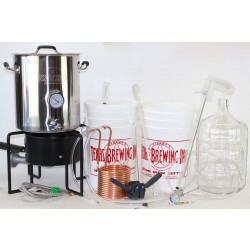 Beer Making Equipment Kits | From beginners to the advanced homebrewer. 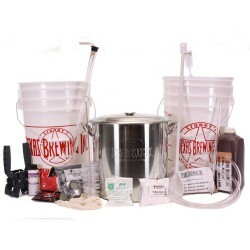 : Texas Brewing Inc.
We have five types of high-quality beer making kits that contain all the tools you need to get started today at prices that fit your budget, from simple starter kits to get you going to complete turnkey packages that help complete your brewery. Why start with lower quality competitor kits, when you could get started with the best and build from there? 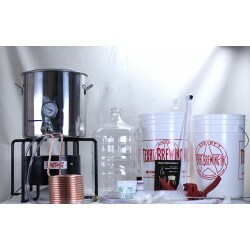 All our kits contain the following basics: 6.5 gallon primary fermenter with grommeted lid, 6.5 gallon bottling bucket with spigot, PBW cleaner, Star-San sanitizer, auto-siphon, bucket clip, hosing, bottle brush, bottling wand, twin lever capper, "Home Beer Making" instruction book, and airlock. 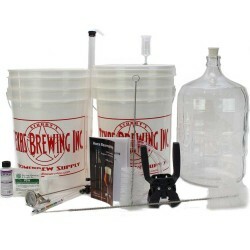 You just need bottles, caps, and fresh wort to ferment! 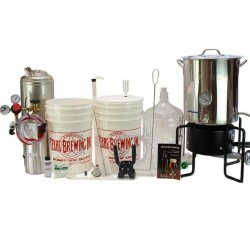 If you want to get started with more now, choose from the variety of upgraded kits for plastic or glass carboys, 2 types of pots, chillers, burners, and even kegging equipment! 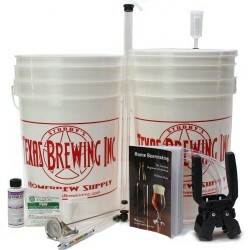 We love our kits and love to help new brewers get started, so we want to give you what our competitors do not: a capper with a return-spring that won’t break your bottles, an auto-siphon instead of a simple racking cane to make your transfers cleaner and easier to control, and industry supported PBW cleaner and Star-San sanitizer instead of a cheap combination cleaner/sanitizer that may not get the job done and could leave you with off flavors or soured beer. 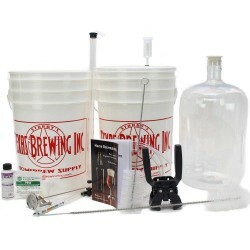 We want to help those of you who want to start small and those of you who want to go big and get everything you need to start brewing and drinking great beer sooner than later! 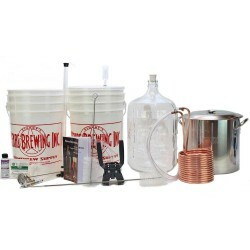 Because you want to brew great beer—batch after batch—and we want to help you make it happen. 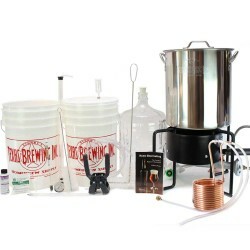 So, if you are ready to take your first steps in home beer brewing or just want a brand new assortment of quality beer making equipment, then we’ll make sure you’re ready to go!